Our knife skills lesson continues with onions! YAY!!!! 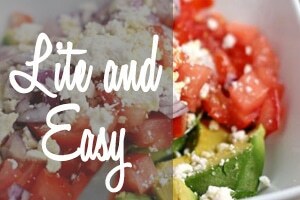 The veggie that makes us all shed tears (literally) when seeing the word finely chopped in a recipe. 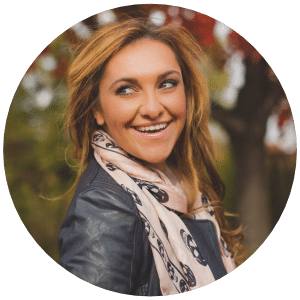 But as always I have a nifty little demo for you that will make you a pro! 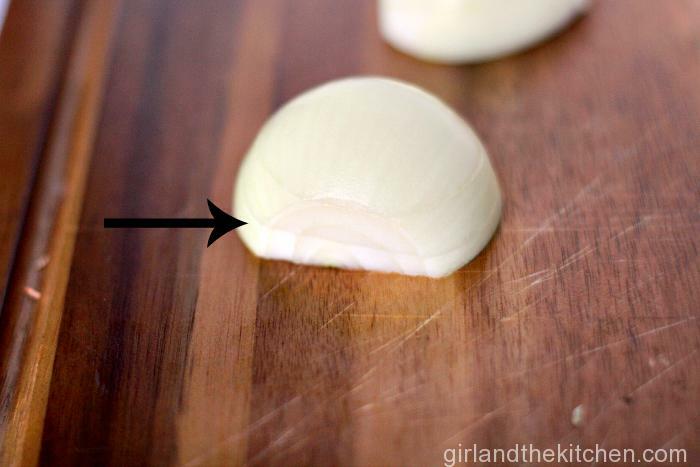 First let’s cover onion basics: Let’s talk about the different types of onions. Classic onions which are actually called Spanish onions. 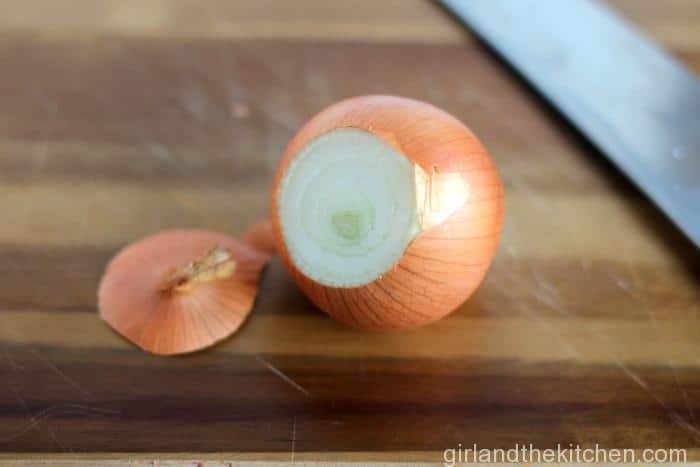 This happens to be the particular type of onion we are using today and frankly this is the most common onion that is used in food. 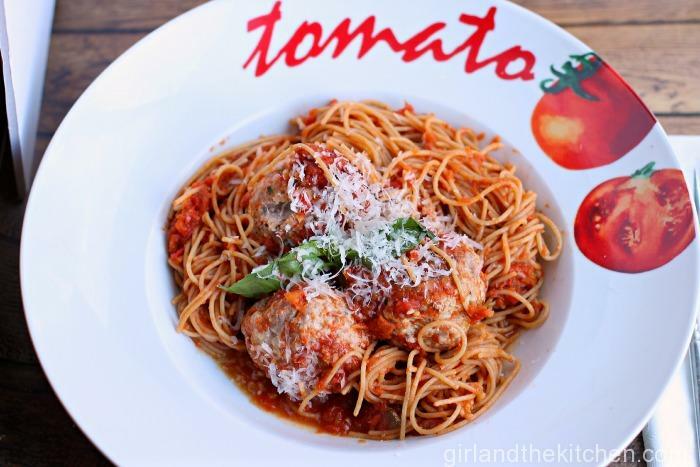 It’s mild in flavor and comes in anywhere from small to large. Vidalia onions look almost identical to Spanish onions. But they are very different in flavor. They are grown in the Vidalia region of Georgia and are particularly sweet in nature due to the low sulfur in the soil they are grown in. 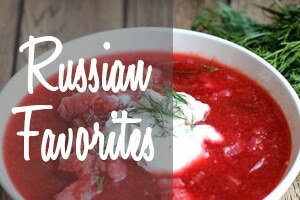 It was even named the official vegetable of Georgia in 1991. 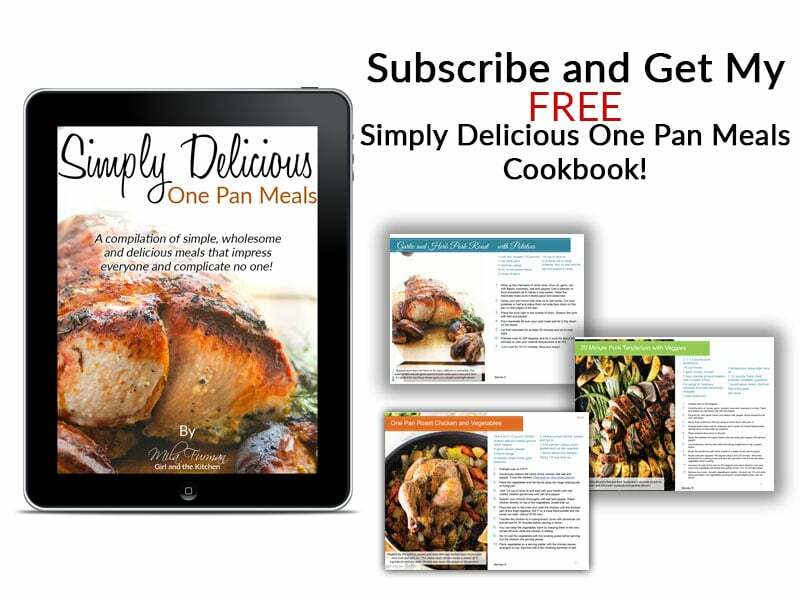 They are absolutely great in reductions and my go to for French Onion Soup. There is also Maui onions. A Hawiian onion that is also low in sulfur and sweeter than an average onion. They all look pretty much the same 🙂 Maui onions tend to be more expensive but are very similar in flavor to the Vidalia onion. For the best bang for your buck. Just buy sweet onions. It’s basically the generic version of the Vidalia onion. It cannot be called Vidalia because it was not grown in Vidalia. Same idea as Champagne and sparkling wine. It can only be called Champagne if it was grown in the region of Champagne in France. Then you have the red onion or purple onion. 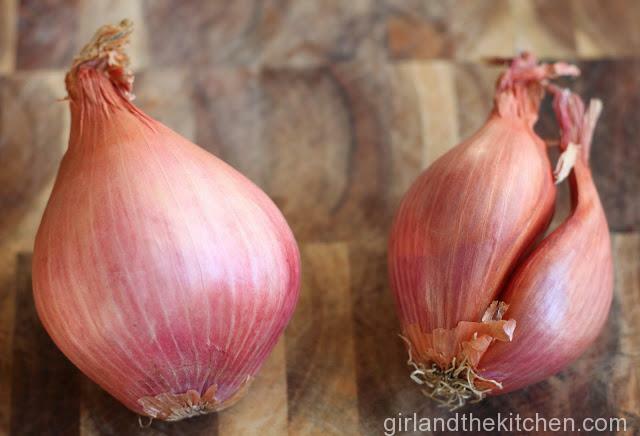 Which is a great onion to use in salads and sandwiches. It’s also great grilled and drizzled with a balsamic reduction. 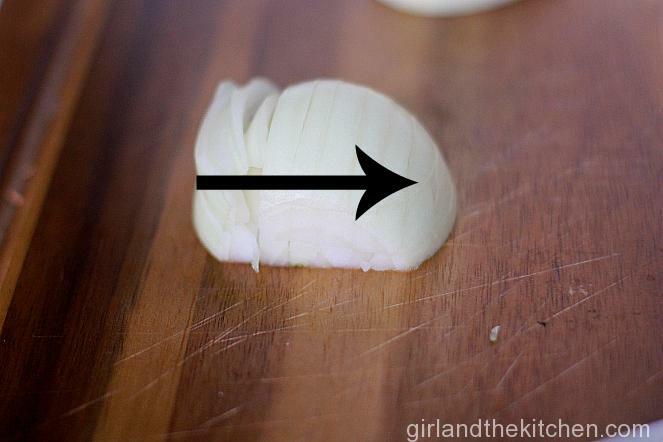 The shallot is a mini onion:) It is one of my favorite go to’s for sauces and stews alike. 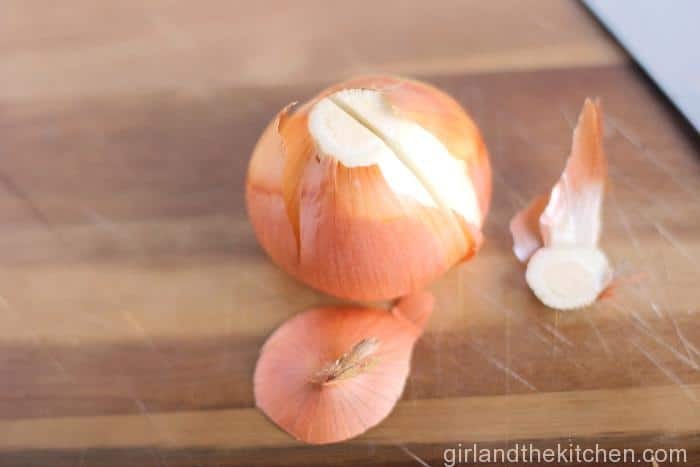 It has a milder flavor than a regular onion and almost reminds me of a combination of garlic and onions… Shallot is the king of all onions for me. It does for sauces what no other onion can do. And you know what the best smell is? 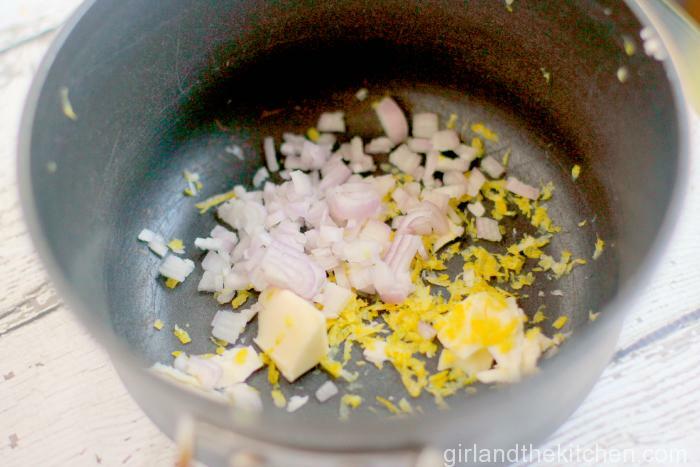 Garlic and shallots sauteeing in butter. 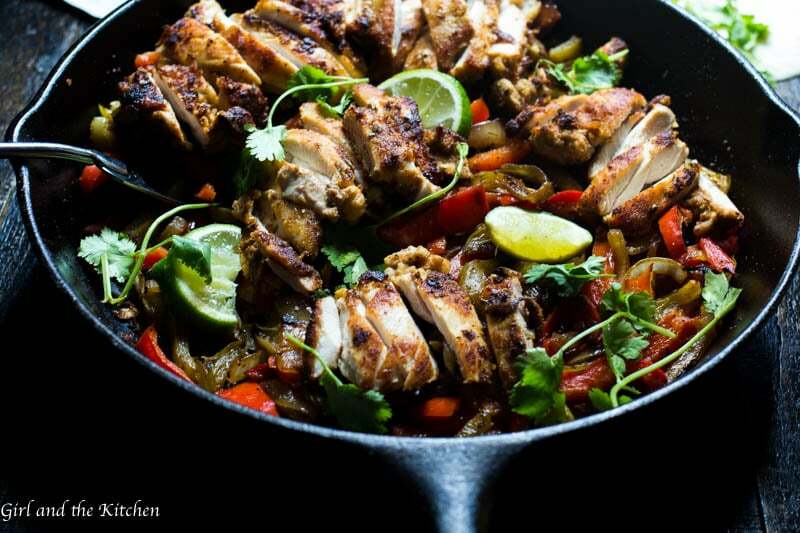 Go try and distract yourself with another task while you have those flavors bubbling away…you prob can’t. There are also scallions…chives and LOADS of other oniony varieties. But for now we are going to leave it there and concentrate on how to best handle these little smelly suckers. 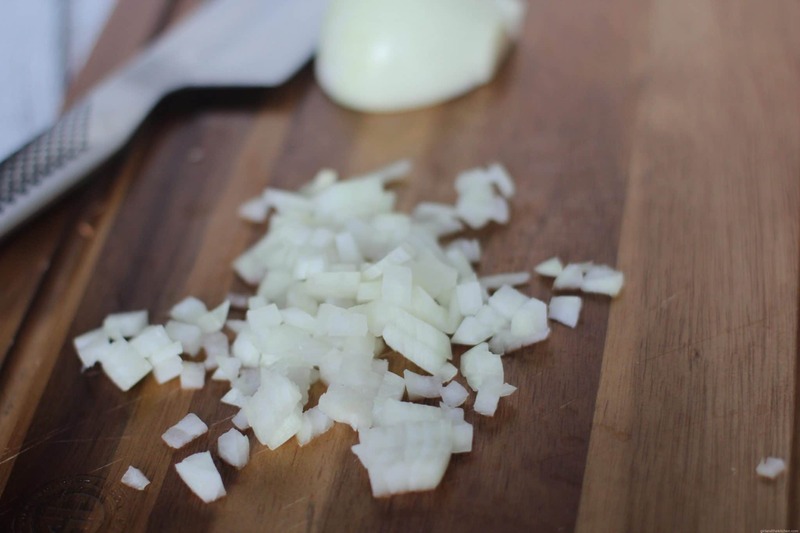 We all know that onions can make you cry (it’s the sulfuric acid) and can be a bit strong if using fresh. Here are a few tips to stop the tears and handle the strong taste. 1. 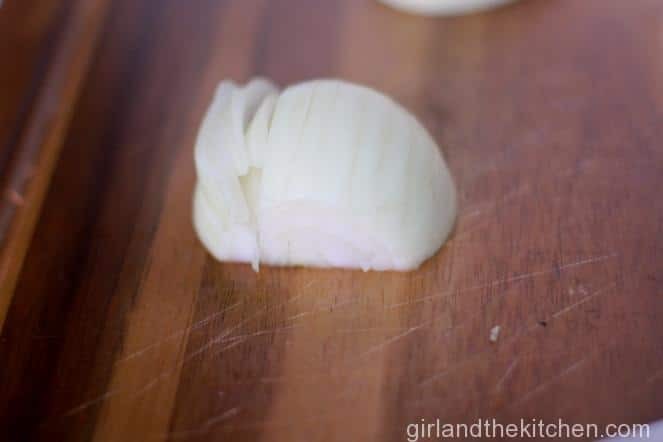 If you know you will be making something that has a lot of onions in it, place your onions in the freezer for 15 minutes. This freezes the sulfuric acid and does not allow the cell walls to release it into the air…thereby preventing teary eyes. 2. 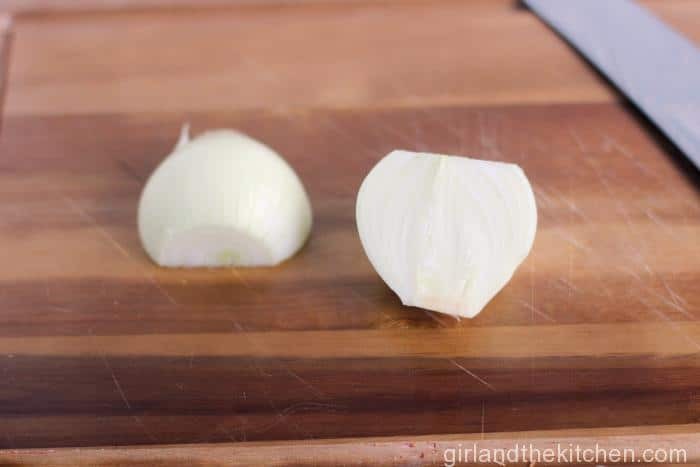 If you are using onions raw in a salad or a garnish, place them in cold water after cutting them up. Let them steep for 5 minutes or so. It will leave them whiter and will also remove the smell a bit so they are not as pungent. Now that we have our basics covered, let’s dice them up! 1. First let’s cut off the ends. Make sure not to cut off too much of where the root is (the hairy side of the onion) that is going to help keep the onion together. 2. Now we cut the onion in half and peel it. It’s easier to peel it once you have cut it in half. 3. Now we are going to start with the actually dicing. 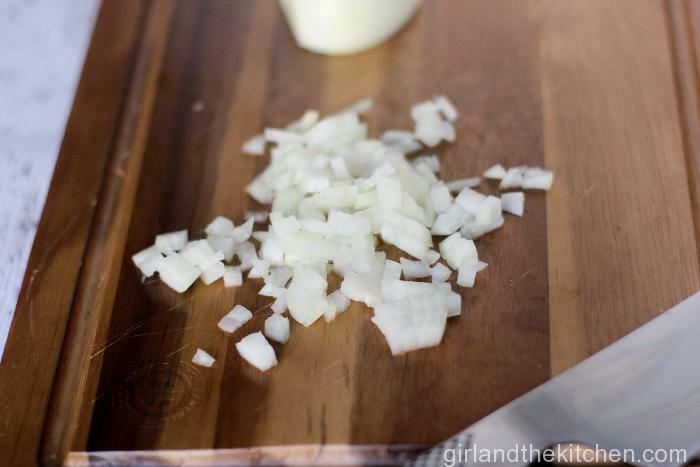 Place the onion on your cutting board, flat side down. And make sure the non-stem part is facing the knife. 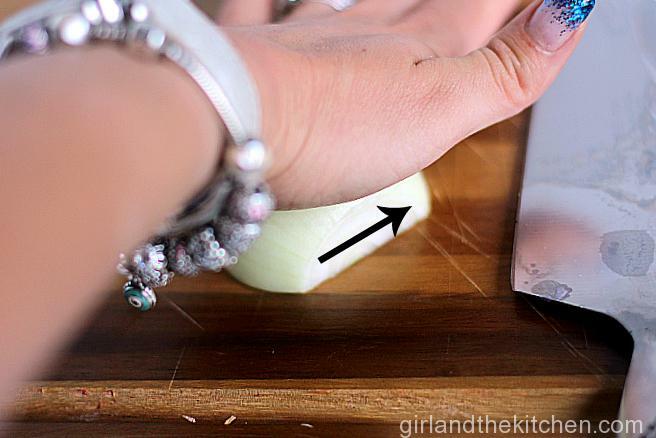 Place which ever hand you are NOT using to cut with on top of the onion. Palm flat. You are doing this for stability. Now you are going to cut into the onion as show in the picture. The thinner you make these horizontal slices the thinner your dices will be. Now remember, do NOT cut all the way through, just right up to the stem. And now you will end up with something looking like this. I only did 3 slices because I was looking for a medium dice. Next you are going to cut into the onion, vertically in the direction that the knife is placed. Again, the thinner the slices, the smaller the dices. And as before don’t cut all the way through. Now just slice it in the direction below. 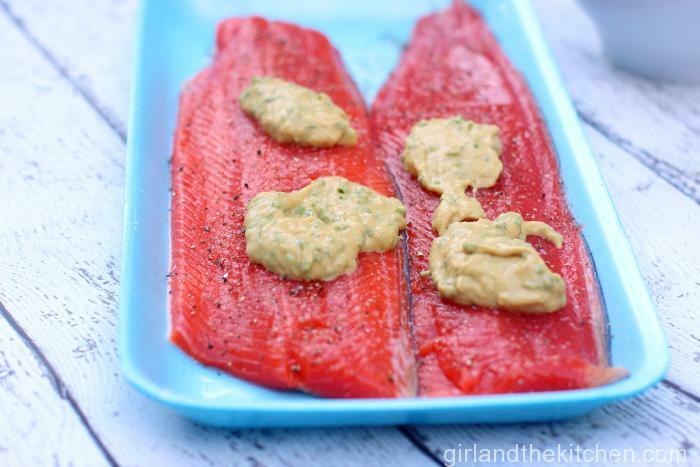 Remember the thinner you slice… the smaller the dice. And voila! 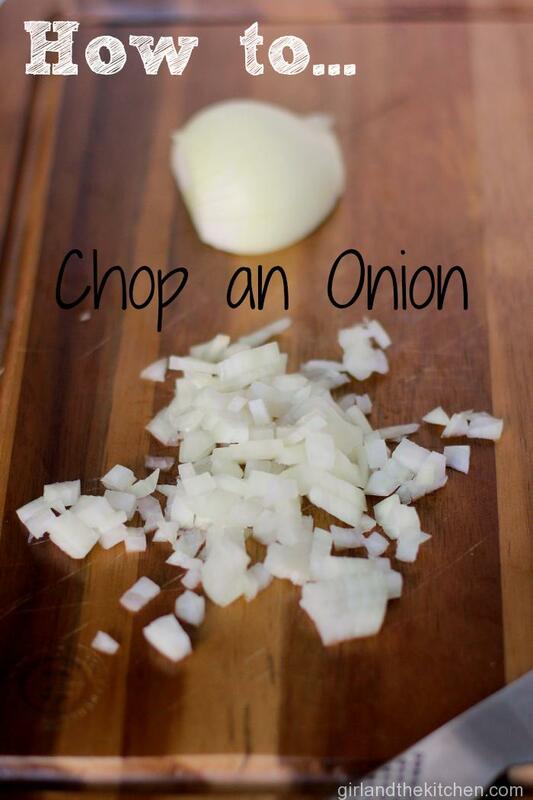 You have perfectly diced onions every time! Never forget this technique by printing out the little cheat sheet below and placing it on your fridge! This is some really good information. 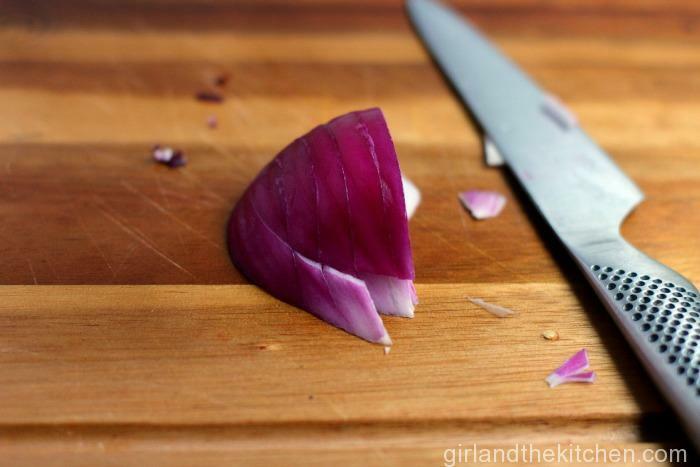 I am working on my knife skills right now and chop a lot of onions. This was really helpful. I like the information on the variety of onions also. When I was a teen, my father had to go to Vidalia for a month for work. We lived in a hotel next to the onion plant during that time and my sister, mother and I spent our days by the pool. There is nothing like the smell of onions and suntan lotion. Thank you! 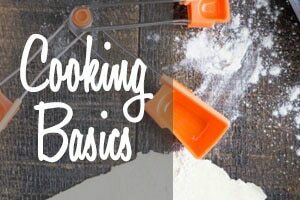 I am hoping that my knife skills tutorials are going to be really helpful for people! I am not sure if the smell of onions and suntan lotion is necessarily the most pleasant, but I’m glad to hear that you have fond memories 🙂 Thanks for stopping by! Great info. I actually learned a few things. One thing that I saw somewhere and tried for myself (and it worked!) 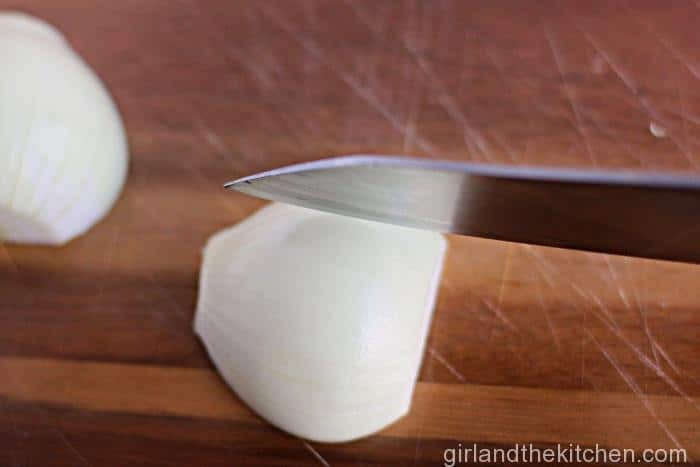 for onion tears: chew a piece of gum while cutting. I also cut right under my vent hood with it turned on, which helps as well. Jean! 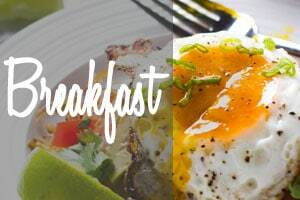 All great tips! Thanks for checking it out! Glad to see you stopping in!